Propeller Professional Development Board Schematic. Propeller Professional Development Board Guide. 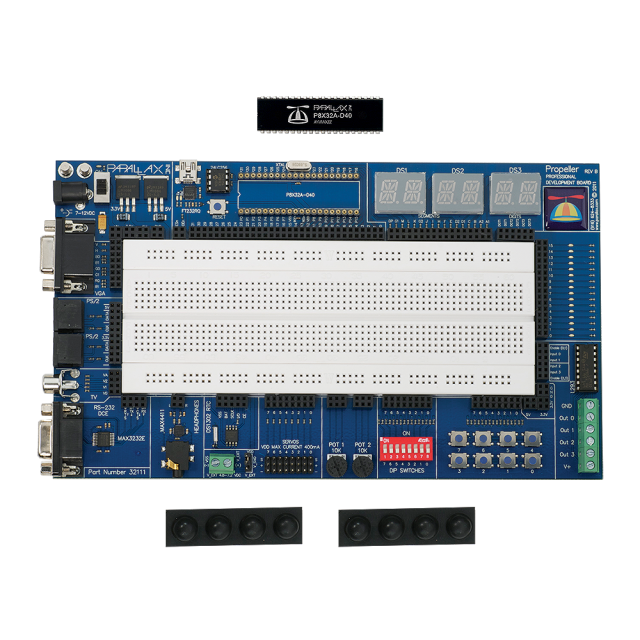 The Propeller Professional Development Board is a high-quality, fully-integrated development platform for the Propeller P8X32A multicore microcontroller. 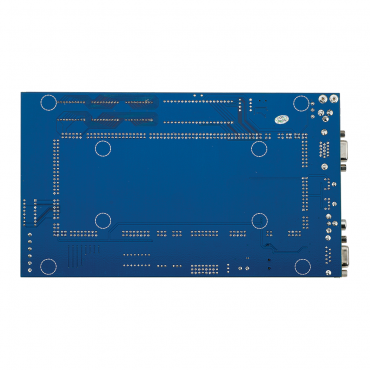 A wide variety of peripheral connectors and typical I/O devices such as LEDs and buttons are built into the board, providing the developer with an ideal platform for rapid Propeller project development. On-board voltage regulators provide 5 V and 3.3 V supplies for your application circuits. 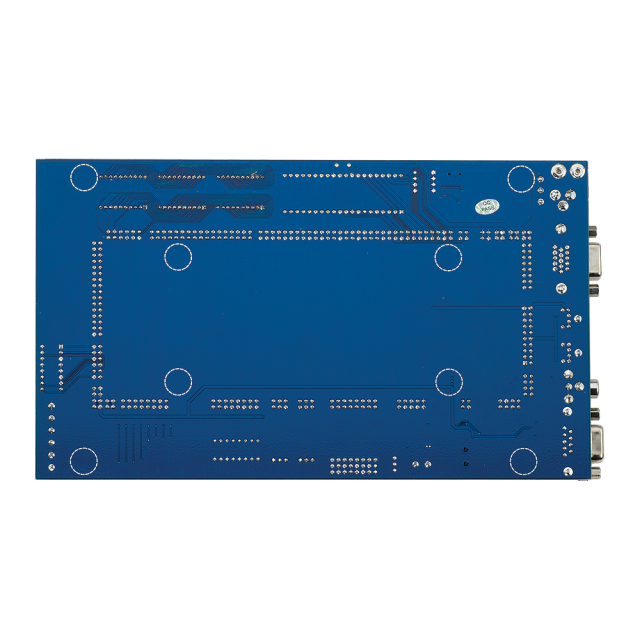 Contains the most common I/O interfaces for the Propeller chip on one board. Large breadboard area gives plenty of room for additional components and devices. 40-pin DIP socket for P8X32A-D40 Propeller microcontroller (included). 24LC256 32 KB EEPROM included. 5V and 3.3V regulators on board. Six blue 16-segment LED displays. Eight active-low pushbuttons with 3.3V pull-ups. Eight active-low DIP switches with 3.3V pull-ups. Eight servo headers with selectable on-board/external power source. DS1302 real-time clock with battery backup/charging capability. MAX4411 headphone amplifier with 1/8" stereo audio jack. RCA jack for broadcast TV or composite video. Two PS/2 ports with 5V power and 3.3V pull-up resistors on clock/data lines. 15-pin HD D-sub connector for VGA monitor. Two ground terminals for logic analyzer/oscilloscope probe ground clips. Current requirements: 59 mA quiescent current (@ 12 V). Communication: USB serial programming interface (FT232R). Dimensions: 9 x 5.25 x 0.75 in (23 x 13.5 x 2 cm). Operating temp range: 32 to 158°F (0 to 70°C). NOTES: Requires a power supply and a USB A to Mini-B cable for programming. Recommended power supplies are 12 VDC 1 Amp or 7.5 VDC 1 Amp.